Are you looking for summer long blooms in a compact perennial? 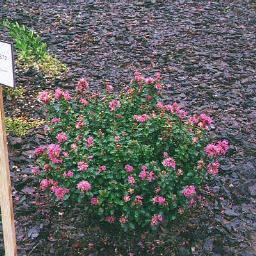 Then our Patented Miniature Crape Myrtles are perfect for you! We have several varieties and colors available to match any décor. Check out our recommended varieties below. 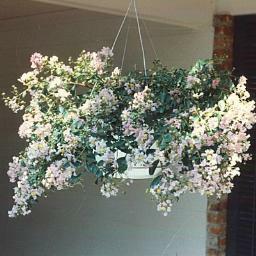 The key to your perfect hanging basket all starts with the choosing the correct variety. 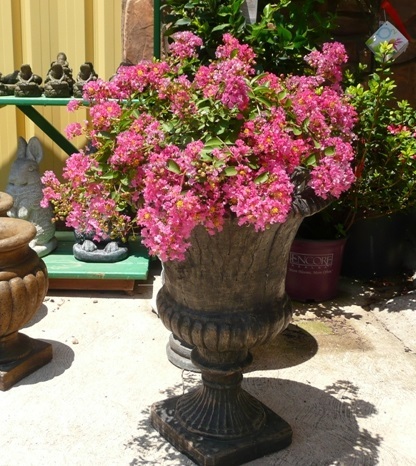 Our patented miniature crape myrtles were bred with this purpose in mind. 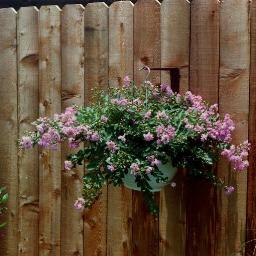 They have the tendency for horizontal growth and weep beautifully over the sides of pots, baskets and window planters. 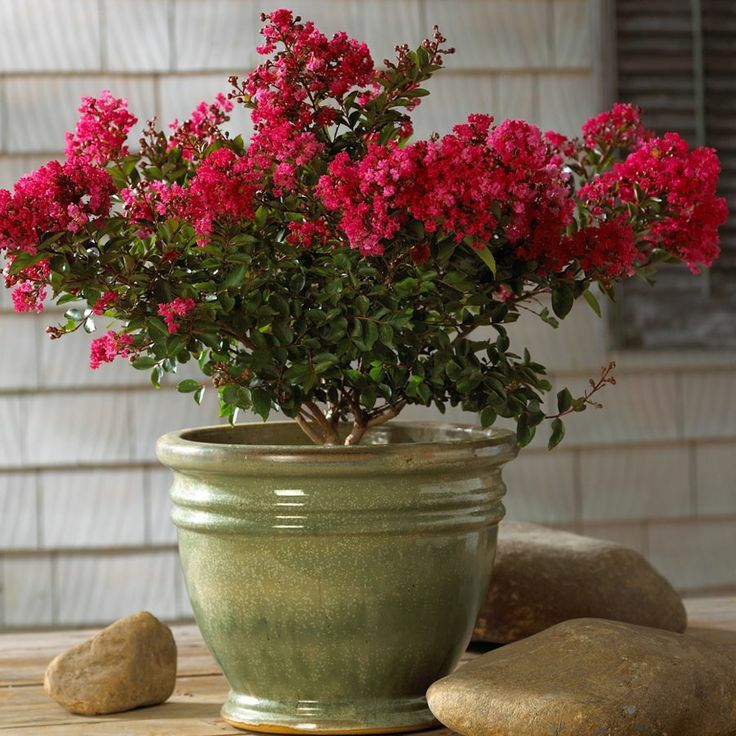 To create your perfect Miniature Crape Myrtle Hanging Basket, simply plant 1-3 of your favorite color in your container and place in full sun. See our Growing and Fertilizing pages for more detailed growing instructions. 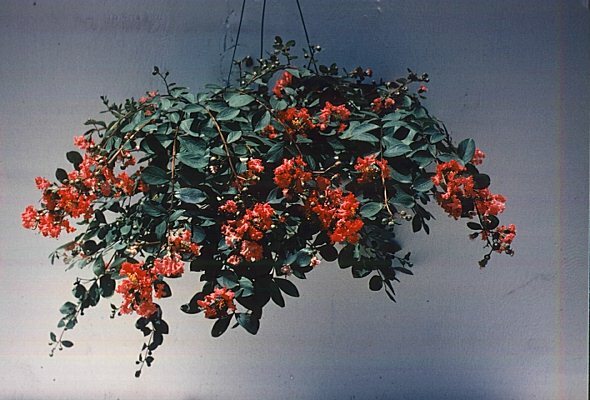 Please visit our Miniature Crape Myrtle Page to see our full inventory of mini crapes that would make amazing hanging baskets!